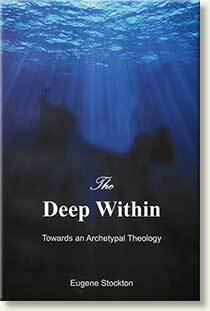 My most recent book The Deep Within had as its subtitle Towards an Archetypal Theology. It is timely to formulate my understanding, so far, as to what I mean by archetypal theology. This is proposed in the hope of attracting others to comment, critique or contribute to an ongoing discussion. From the outset one needs to de-mystify this whole realm of thinking, because common parlance and writing have imparted to archetypes a false sense of the mystical, which has clouded the real meaningful potential of deep consciousness. When psychologists speak of the "unconscious" or the "subconscious" they imply a discontinuity between the surface of our consciousness and the deeper levels, which are rarely plumbed by subjects or rarely rise to the surface. It suggests that there is only one level of consciousness and of rational thought. Pioneer psychologists saw the foundation of archetypes in a "collective unconscious" common to all mankind, which is tapped into by archetypal images. This was an idea once common among philosophers, scientists, artists and other intellectuals under the influence of German Romanticism peaking in the 19th century. In popular writing archetypes have often been named from figures of Greek mythology and European folklore. This leaves in a mental limbo those whose cultural background has not included these streams of storytelling. By contrast with the idea of a "collective unconscious" as the primordial source of archetypes, I propose that a sufficient ground for their emergence can be found in the early experiences of infant child formation (perhaps even before, but certainly after, birth). Neural development in early infancy suggest rapid changes and intense activity in the mind, before labels can be found to tag the new experiences. Memory seems to begin to operate and become fixed only after language has developed to a certain degree and a sense of self has emerged. Now when we look back to memories, it is to those that can be named and are already centred on self. Before that there are only "unremembered memories", which can set off powerful unaccountable emotions in later life, such as inordinate fear or resentment for seemingly trivial occasions. One counts among these the intimate and complex feelings for one's mother, or carer or other family members. A baby's world is a world of feelings, a cauldron of nameless emotions, which continue to exert their influence in later life and higher levels of consciousness. The level of consciousness most familiar to us is that of surface rational thought such as is found in science, politics, commerce, history, philosophy, conversation and in so many areas as to create the impression that this is the only way of thinking. The world it constructs from our senses is deemed the real, objective world. It is a rational world ruled by its own logic. Words stand for concepts in abstract representation of the real. Facts are stated by the identification of subject and predicate (A is B) and further information is adduced by chains of syllogism. Statements stand to be verified – they are true or false – marking this way of thought as strongly dualistic and discriminatory. It lends itself to the binary language of information technology. Value – what is more or less – is expressed by number, allowing extreme levels of differentiation. The language is typically linear as each stated item is symbolised as a bit of information, with each bit laid out one after another like pixels on a TV screen or printed words on a page. Deep down in the well of consciousness are vastly different layers of perception. This is the domain of poetry, myth and imagination, representing a no less real world in a strikingly different way to that of the surface. The bottom layer of perception we have seen is the primordial awakening of infancy, a cauldron of feelings. These bundles of emotion, these emotional tags of felt reality are what are commonly called archetypes. Whether that term is meant to suggest something superior or antecedent, it can include a diversity of such entities in a state of high fluidity. It is important to note that archetypes (and their analogues) are at base amorphous. Between these two layers of perception is an intermediate layer, which I have called the "Playground". Here the rising archetypes are processed by human imagination. The creative artist may assign to an archetype a transient shape for an immediate purpose – something neither fixed nor constant. Some archetypes are so profound and general that they have acquired universal recognition, e.g. the archetype of Mother. Some archetypes are shaped differently from culture to culture and can be called cultural types or national icons. Biblical types arose and were recognised by the Chosen People as they reflected on their history and perceived there the intervention of their God. Symbols, such as the cross or the national flag, can evoke powerful memories of a people and stir strong emotion. The processing of these signified archetypes in the Playground is very different to that of rational thought. The stock in trade is not concepts but mental images (and perhaps other internal analogues of bodily senses). Imagination rules. The mental processes at work is the assimilation of like with like (A is like B), recognising the likeness of patterns. All duality dissipates where there is no true or false, right or wrong. Creative intuition leads to new discoveries by playing with images: sets of images can be combined and recombined, mixed and merged, so that new patterns give rise to new meanings and understandings (just as musical notes can be juggled to make new melodies). Myth and story are time-honoured ways of drawing images together in a meaningful way. 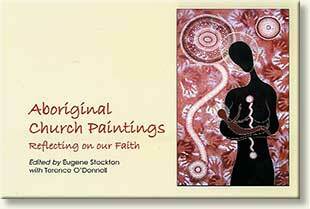 The cover of a book Fr Eugene edited with Terence O'Donnell on Aboriginal Church Paintings. He argues "they theologise on the bridge between the old and the new". The Playground we have seen is where the formless feelings from the deep emerge and take shape as diverse recognisable archetypes. It plays host to many kinds of players playing with its images. The musician and abstract artist draw directly from the subliminal and put it into view. The storyteller weaves his or her themes into story-lines for listeners with bated breath. The contemplative ponders and gazes in silence. A scientist, at the start of research, may idly indulge in "pre-conceptual thought": his or her data is represented by mental images tagged with feeling and is then wildly arranged and re-arranged in the kaleidoscope of the mind until a "fix" is spied. This is seen as the right juxtaposition of elements which the scientist "freezes" until it can be translated into the thought and language of surface rationality. This is the intuitive leap of genius sometimes told in the lives of scientists. The Aboriginal artist again shows the playfulness of combining traditional symbols into new configurations to tell the story of the Dreaming. I have analysed a number of Aboriginal Christian paintings to show how they theologise on the bridge between the old and the new. Their innovative creativeness was evident in the daring juxtaposition of elements, opening up new ways of expressing their religion. These parallels lead us to consider archetypal theology. The seer draws from the formless, emotion-laden awakenings of infant awareness, which have been shaped by the infant's culture into distinctive forms, shared in common in society. These images or symbols stir up the primal emotions from the depth as they enter discursive thought and language, giving a power and force beyond their literal meaning. But the Christian theologian here meets other streams of primordial meaning, notably that of the Chosen People whose story is told in the Bible. Biblical types are defined as persons, things or events in the Old Testament which are seen to be fulfilled in Christ in the New Testament. But one does not need to be restricted to messianic imagery. The Hebrew mashal (Greek parable) has a wide usage referring to proverbs, maxims, riddles, metaphors, allegories, similitudes, and other forms of comparisons, even by way of extended narratives, such as gospel parables. Even sacred stories, miraculous events and wisdom sayings become part of the treasury of archetypes. With those the seer is not distracted by questions of historicity or accuracy, but first asks "What does it mean?" And in that meaning is found not only a direction, but also a motivating energy, which is absent in abstract theologising. The Hebrew language itself, as other Semitic languages, is directly tuned to the subliminal depth of consciousness, not so much expressing a meaning (as in European languages) as suggesting it. With this rich inventory to draw on, the seer plays with these images in a contemplative mode. Like the intuitive scientist or the Aboriginal painter, the seer mentally views their assemblage of images, arranged now in one way now in another, until arriving at a desirable "fix" carrying its own felt message. Different sets of images brings certain ones into proximity with one another, emphasising some and highlighting relationships between them. Different combinations can convey different messages or directions. Stories especially present themselves as meaningful gatherings of archetypes, which is why myth has always played an important role in religion. Abstract art and music can be viewed in the same way. This playful exercise in theology is not an idle one, but is conducted to serve some intent. In The Deep Within it helped to map out a personal theology and to explore mystical union with God. It may open up a course of action or give a vision of a way of life. It may feed into rational theology, just as scientific intuition may be the prelude to prolonged scientific research. Intent will guide the direction of observation. Since archetypal theology is not about establishing fact but about comparing likenesses, it does not raise questions of truth or falsity but only of appropriateness. In the absence of judgment or discrimination subliminal thought is non-dualistic. Opposites are complimentary not contradictory. Hence archetypal theology is valuable in the engagement with another culture or another religion. The insights of the other person may be welcomed as enriching and illuminating one's own. Since archetypes are recognised as arising from the cauldron of formless emotions in infancy, it is no wonder that, after taking on the forms afforded by culture in the Playground, they still retain their distinctive emotional tags. Creatively combined in pre-conceptual thought they can evoke a passion which is lacking in abstract rationality. The demagogue, the advertiser, the propagandist all instinctively know what the theologian could well take note of: namely the power of archetypes to move the heart and mind. Published by Blue Mountain Education & Research Trust, Lawson, 2012. Stockton, E. 2010. Aboriginal Church Paintings : Reflecting on our Faith. BMERT, Lawson, 2010. 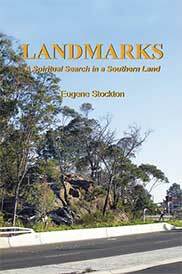 Landmarks is an exploration of an Australian spirituality. Drawing on the cultural influences now in our land, it offers a graded, comprehensive presentation of gospel teachings, with an Australian diction and imagery. The reader may find in it fresh insights into traditional spiritual themes. Each theme is introduced in terms of an 'Australian setting', focusing on one particular aspect of the Australian experience. The body of each chapter analyses that experience, exploring the parallels with its biblical counterpart. The bible is used, not as a book about God or a store of normative texts, but as the story of a people, who are our spiritual ancestors. The attempt is made to insert ourselves into that story, with all its ups and downs, to identify our own experience in its unfolding, and through it to catch the vision of God which the past projects onto our present and future.